Hello and happy Tuesday. It's time for another challenge at CASology. 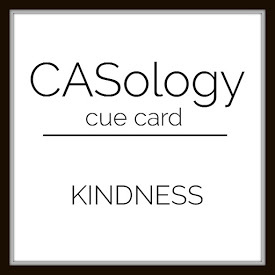 This week, our cue word is KINDNESS. What a wonderful cue for this time of the year, right? 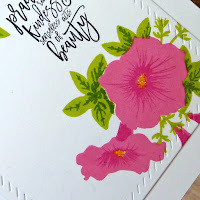 I happened to be searching for something else in my sentiment binder, and came across this sentiment in PTI Humming Along, and I knew it would be perfect for this week's challenge. May you perform and also receive random kindness and senseless acts of beauty, this holiday season and all year long. Now it's your turn. How does KINDNESS inspire you? I hope you play along this week. Please remember to keep it Clean and Simple. Please head on over to the CASology blog and gather some inspiration from the design team. This challenge will run for two weeks. We'll see you again for a new cue word in 2018. Our Guest Designer is Bharati. I love how you stamped these beautiful blooms and your sentiment is just perfect, Joyce! Thank you so much for inspiring us all year long with your gorgeous CAS designs...I hope you enjoy the holidays with your family!!! This is so fresh and beautiful Joyce! The colors pop off of the crisp white card. Love it! Wow! I love the sentiment Joyce and the flowers...stunning. Love the deep, rich pinks! What a sweet and beautiful card Joyce...love your pretty pink flowers and that incredible sentiment. Kindness is a great virtue, and a good relative of love and peace. 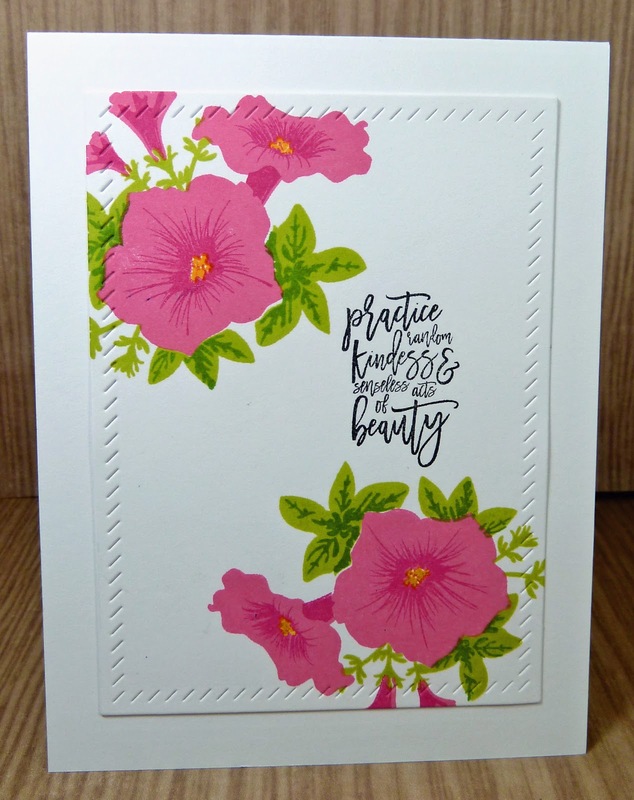 Beautiful stamping, Joyce! That rich pink color is gorgeous!